OverView strongly suggests logos with a 16:9 ratio. The logo will be shown on the main navigation bar. 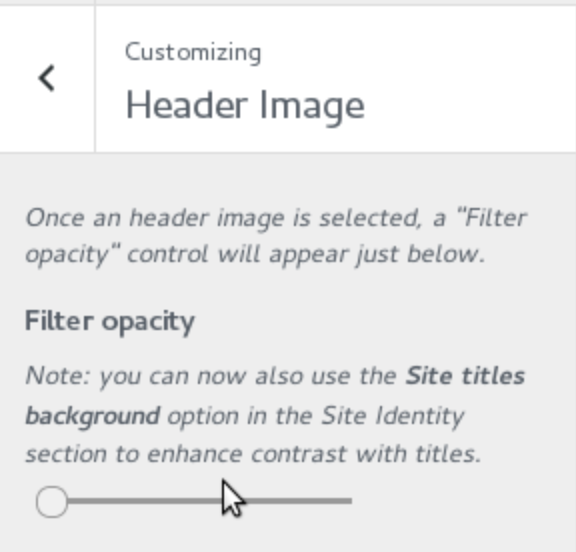 After selecting an header image, a Filter opacity control will appear in the WordPress Customizer: in addition, the option Site title background will now be available in the Site Identity section. Use the combination of the two to achieve the best possible contrast setting for your Header Image and your Site’s Title and Tagline. 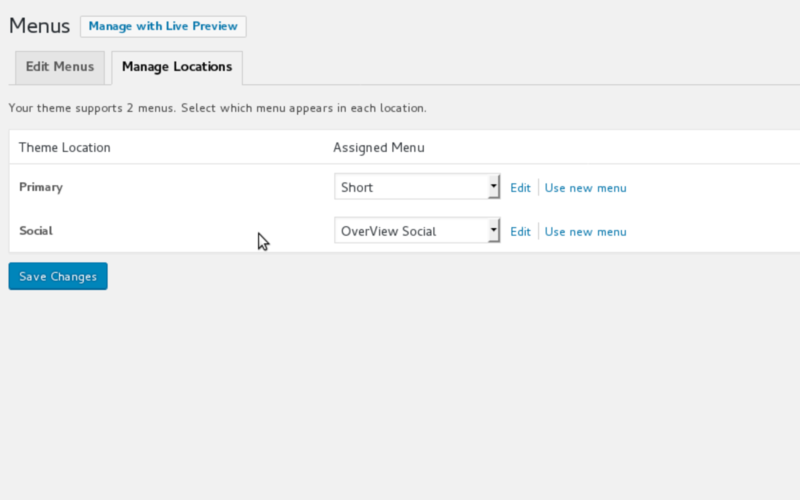 OverView supports menus in two locations: primary (in the top navigation menu bar) and social (in the footer). 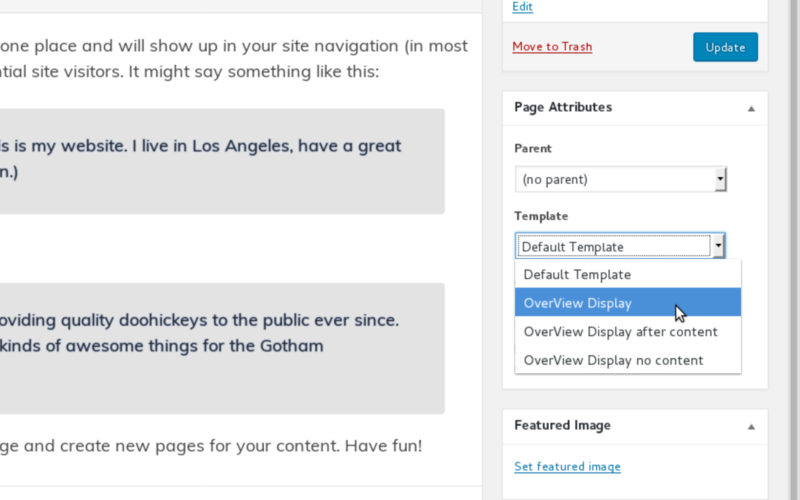 You can also assign Menus in the sidebar and footer Widgets areas. OverView automatically assigns icons to all your social networks accounts: to create your own list of accounts to be shown, first create a new WordPress menu and add a custom link for each of your social networks to it, then assign it to the Social menu location. 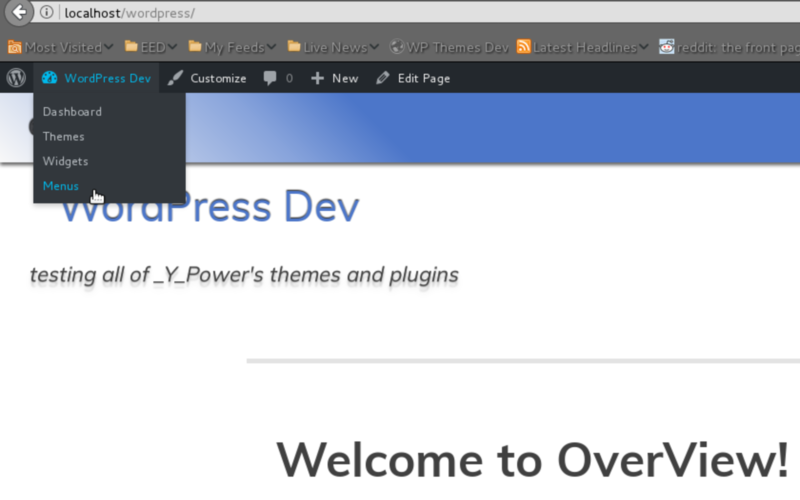 You can now see all your icons in the footer! 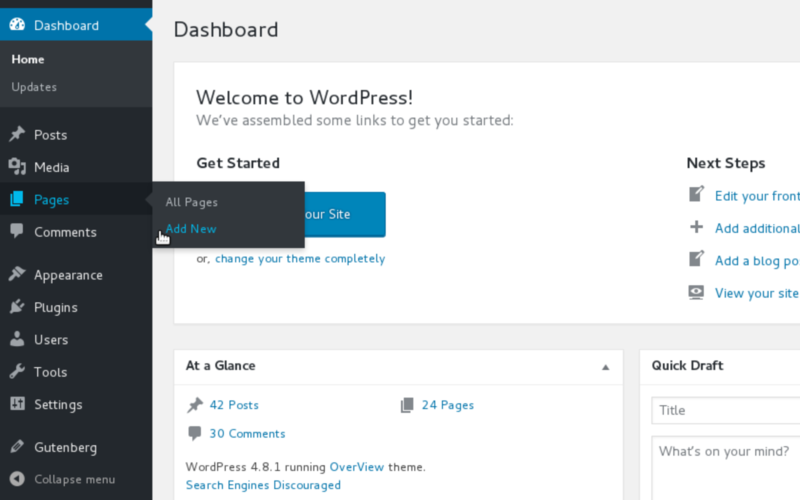 Fun fact: You can use the same newly created social menu for all the WordPress themes that support social menus. 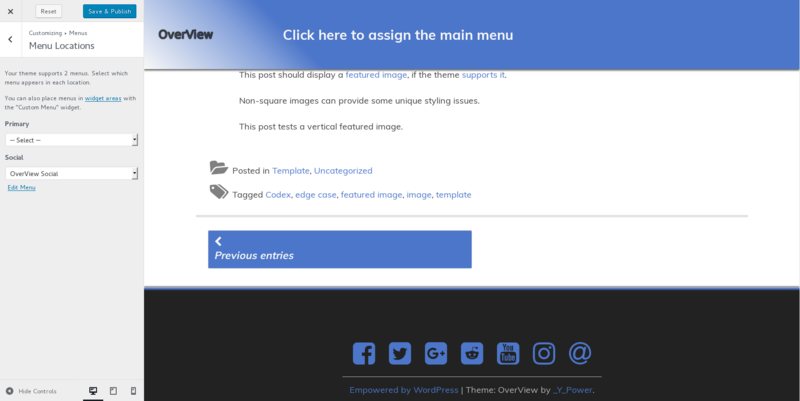 The OverView Display allows you to showcase your posts by browsing them one by one on the same page: if set, the Display shows the post’s featured image on the left (linking to the post) and the content on the right. If the post’s featured image is not set, it will fall back to a standard post type icon. 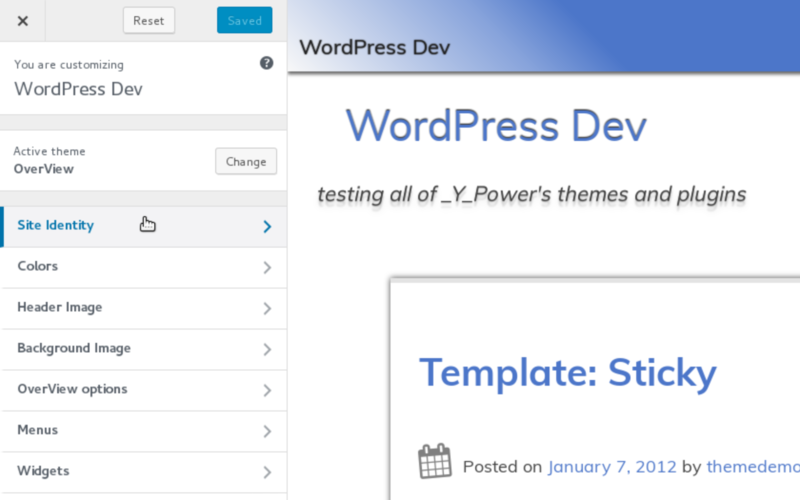 The Display shows all posts activities and responsively scales and transforms on smaller screens. 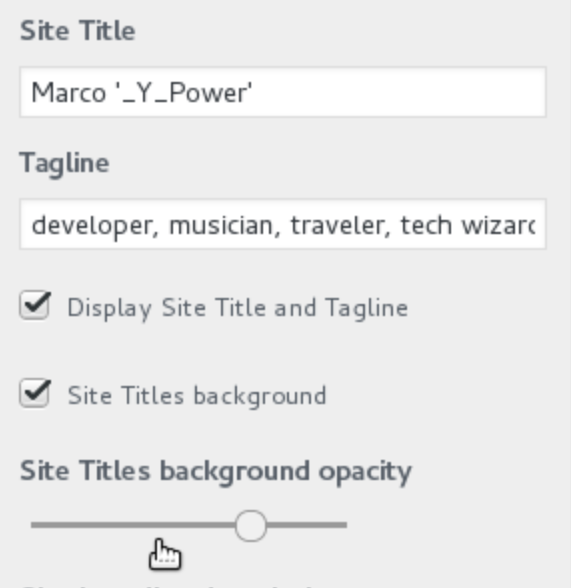 You can assign the Display to any page by assigning the desired template in the page attributes – Display only, Display after content or content after Display.